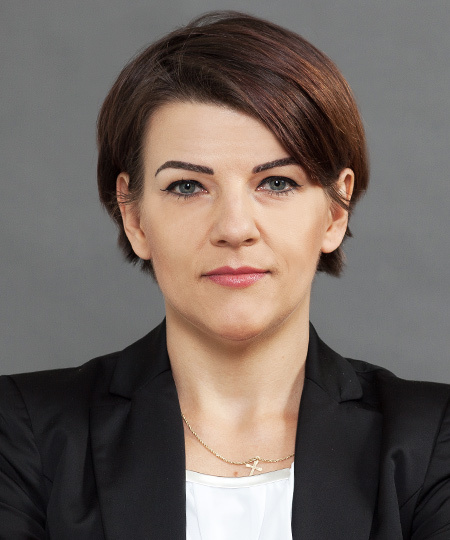 DZP’s Food Law Team has been enhanced by Monika Zagrajek, counsel and specialist in food law with special focus on dietary supplements, fortified foods and foods for particular uses. Monika will advise on composition, labelling and presentation aspects of health foods, i.e. dietary supplements, fortified foods, foods for particular uses and novel foods, and on marketing issues. Before joining DZP, Monika was attached to the Main Sanitary Inspectorate for 11 years, where for six years she was Director of the Health Food Department with duties including setting priorities and directions for State Sanitary Inspectorate measures regarding the safety of foods for particular nutritional uses, dietary supplements, fortified foods and novel foods. Monika also supervised the acceptance of notifications and the placing on the market in Poland of notified foodstuffs. In the years 2013-2014 Monika was national expert on food law specialising in dietary supplements during audits carried out by the European Commission. "We are happy that Monika has joined DZP. As a member of our team she will help us to intensify our activity in advice to the food and related sectors, commented Tomasz Kaczyński, partner heading the Food Law Team. I know DZP and its lawyers and I am happy to be working with the team and that together we will be able to increase DZP's capabilities, added Monika Zagrajek. DZP's Food Law Team is part of the Life Sciences Practice – the largest practice in Central and Eastern Europe dealing with healthcare law, pharmaceutical law, law on medical devices and food law. Our expert advice covers all aspects of operations in these sectors, from clinical trials, registration, placing on the market, through manufacture, promotion, advertising and distribution to protection of intellectual property rights.